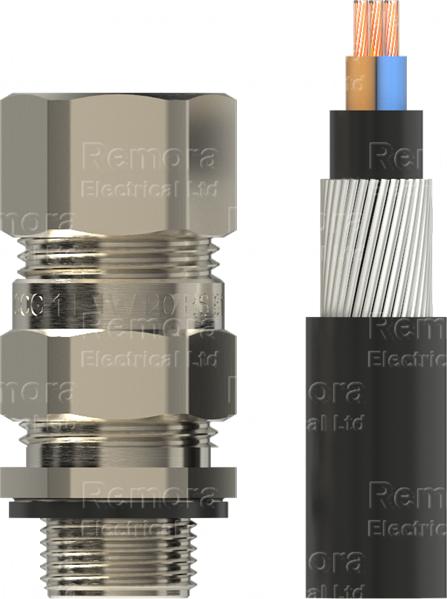 The E1W Gland is designed for Steel Wire Armoured cables for outdoor use where a seal on the inner and outer sheath is required to obtain a high level of IP protection. The gland features two-part handling, no loose parts and a freely rotating captive cone providing an armour clamp and earth bond without twisting the armouring. Seals to IP68 if fitted with a sealing washer. • Two-part handling, no loose parts. • Factory fitted captive elastomeric inner seal for Built In Safety™. • Supplied complete with IP sealing washer.